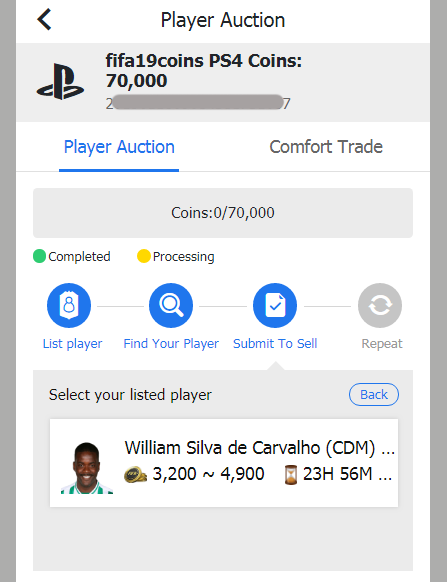 How to withdraw coins via Player Auction? 1. 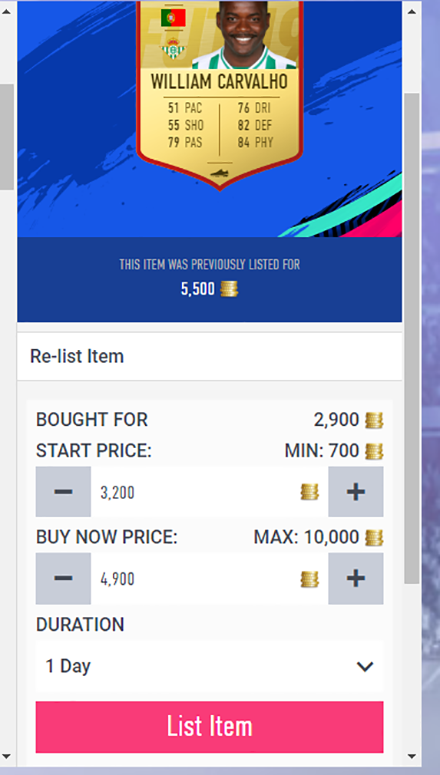 List your player on the transfer market first: if max price ＜10K, Buy Now Price should be: 4,900 , Duration: 1Day. If max price ＞10K, Buy Now Price should be: ≤60% of the Max Price, Duration: 1day. 2. 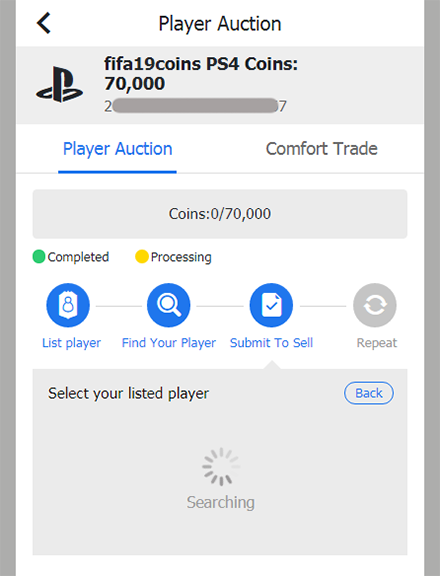 Turn back to M8X.COM, enter the listed player's correct info, then click on "Find the Player". 3. 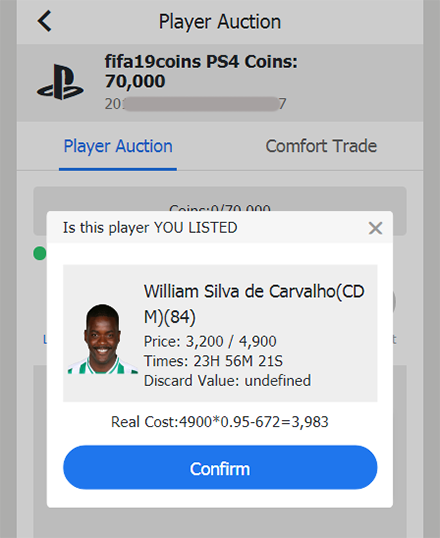 Your listed player will be searched, then please select the player from the list. 4. 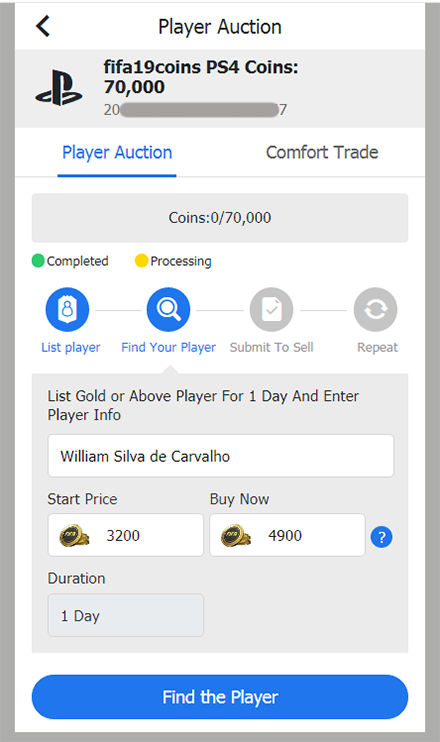 After selecting a player card, make sure it's your listed player, then click "Confirm" to step further. 5. Now you almost done. 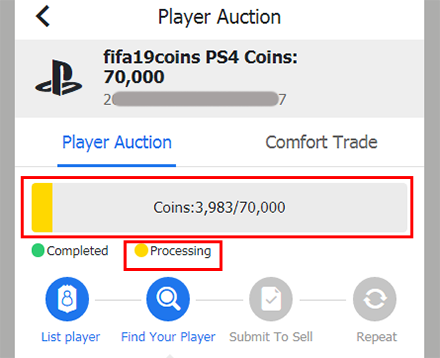 We are buying your player and the coins are under processing. 6. 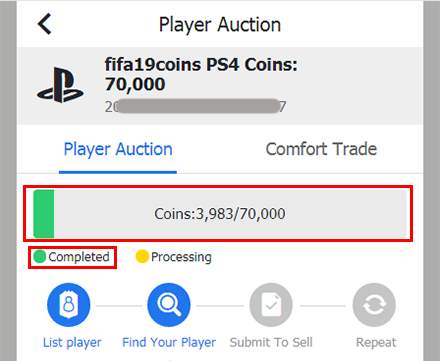 When the yellow box completely changed into a green one, meaning coins are arrived in your FUT account. Repeat the above steps to withdraw the rest coins if you want.